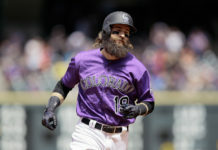 The Colorado Rockies missed out on a sweep of the Reds Thursday after their wobbly bullpen faltered once more. 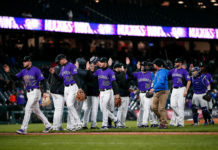 The Rockies’ bullpen has struggled with both injury and inconsistency, but the team still finds themselves only a half-game out of first place as the Diamondbacks come calling at Coors Field. Host Shawn Drotar and guest Nate Lundy (Co-hosts, “Mornings at 5280′”) take a look at the Rockies’ pitching struggles – their team ERA is second-worst in the National League – can they turn the tide at home, despite throwing at altitude? 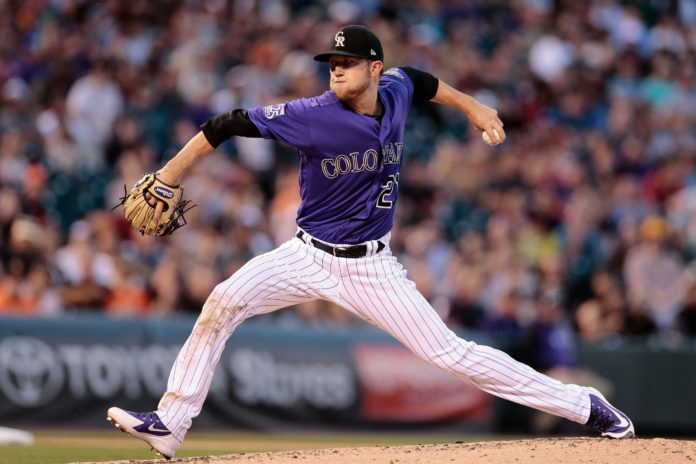 Carlos Gonzalez and the Rockies’ offense have been putting up runs in bunches, and the team’s three best starters in terms of ERA – Kyle Freeland, Chad Bettis, and German Marquez – will take the mound for Colorado in a pivotal series given the tightening NL West. Check out the latest “Blake Street Irregulars” and prepare for the Rockies’ biggest series of the season!